Nearly ten years after the Asian Financial Crisis, financial turmoil has reappeared â€“ this time it is ravaging the world's wealthiest countries and dragging the global economy along for the ride. It forces one to reflect on the last major financial crisis to afflict the global economy, and to consider whether there are any similarities, and whether there are any lessons from that crisis that we can apply to the current one. 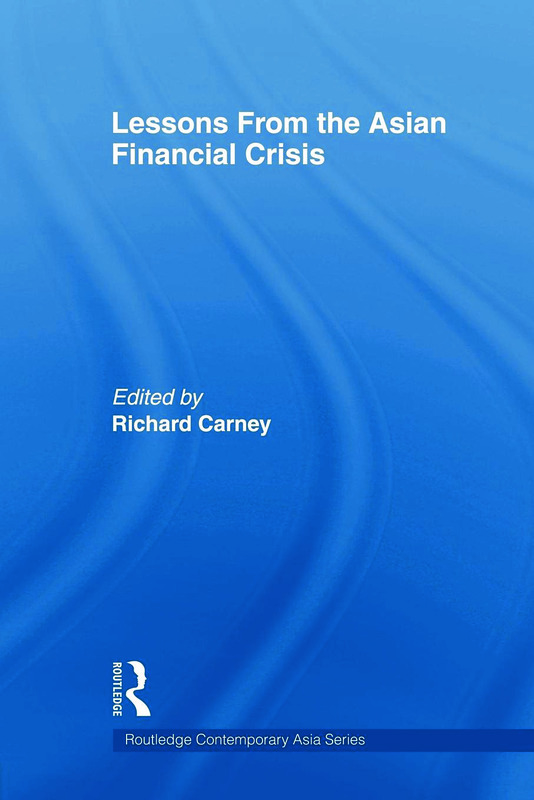 Written by a distinguished group of individuals from government, the private sector, international organizations, and academia, this book provides an overview of developments in the main affected countries during the Asian Financial Crisis, as well as the lessons learned and corrective measures taken at the country, regional, and international levels. Importantly, attention is also paid to the areas where substantial improvements are needed. The current crisis heightens the relevance of these lessons. Lessons from the Asian Financial Crisis will be invaluable to those studying international relations, international finance, international economics and East Asian studies. The Asian financial crisis ten years later: What lessons have we learned? Ten years after the Asian crisis: Is the IMF ready for “next time”?